It has been a whirlwind of activity since returning from Laos this year. We have done more than 20 presentations to various Rotary and Interact Clubs along with Special Interest Groups. On top of that we have been volunteering at various events including 3 ribfests, a soup kitchen, and various other events so far. At night I manage existing ongoing projects in Laos. It has been a tough go with the construction of school in Ban Na Lea due to the heavy rains, flooding and mudslides but I am pleased to report that we are in the final stages of completion. 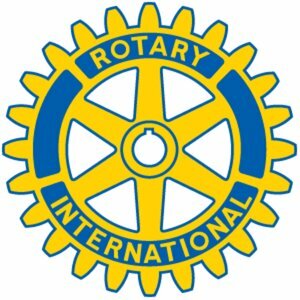 The kind folks at the Rotary Club of Toronto Twilight were the sponsors and will be present to officially open the school at some point over the winter, although classes are expected to start in early September. Here are the latest pictures. It looks great so far – they still have the insides to do. Once this stage is complete, they still have to do the ceilings, paint and mount the windows and doors. The target date is August 30th however there is a campaign to raise funds for the school furniture. Each table and bench for up to 4 students costs $70 and 15 have been sold to date. Our target is 45 (15 for each classroom). If any of you are interested in helping us out, we would be thrilled. You can email me at SRutledge@Bell.net. We found that the prices were going up on the water filter systems so we put out an urgent plea to try to raise another 200 water filter systems before the new prices were implemented. I was shocked at the response. In fact we ended up having to order 250 systems. All are distributed now except for 9 that will be distributed to a school in PhoneSavanh when they start their next term. As of this moment we have confirmed donations totalling 993 filter systems – we are so close to the 1000 mark! 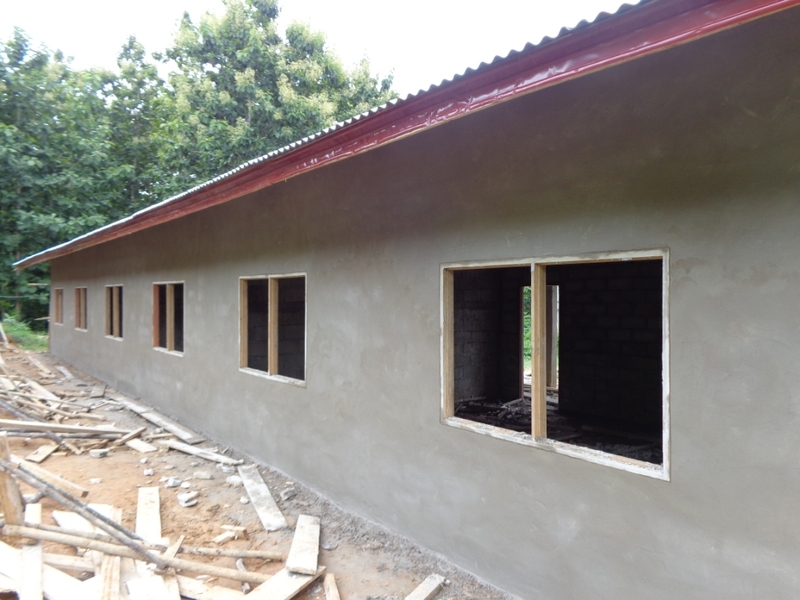 – 2 school additions; one is the final phase to add a library and office at the secondary school we have been working on for two years. We have raised $4,000 so far but need another $14,000. 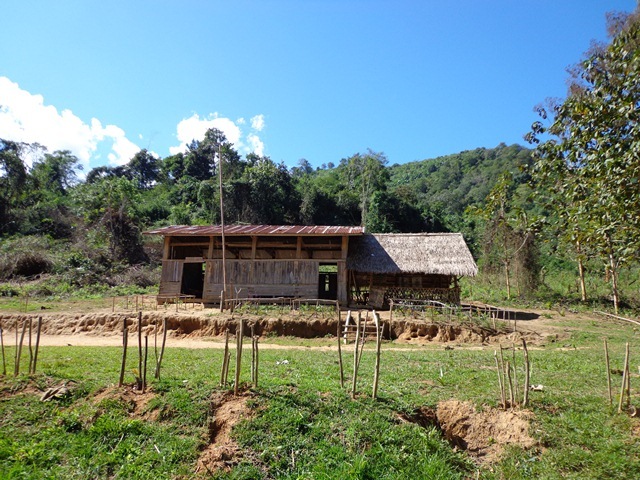 The second addition is for Hat Kham Primary school. 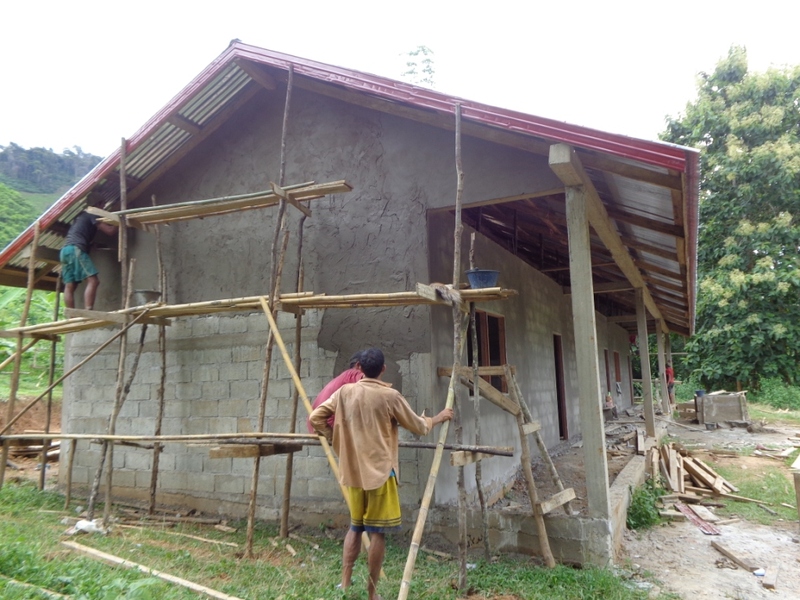 We built the school last year and the neighboring families were impressed and decided to move into the village so we need another classroom, estimated at $8200. – 2 water source projects. One is for PhoneSavanh – the newer section of the village collects their water from a severely poluted pond. I have not received final word but I believe we have this one sponsored. The other is for Ban Na Lea where their water dries up for 4 months every year. We have a number of proposals out there hoping to get funding for this also. – toilets – we will be doing 5 banks this year. 4 to complete the village of Pha Yong (total of 10) and one for Na Lea School. It is hard to say but I think all MAY be sponsored but am still waiting for final word. – Solar panels. We are planning to install a significant number of panels and lighting to the village of Katang Xieng. Add Your Light Foundation has donated all of the materials but there are a lot of transportation and related costs involved. Total estimated cost to complete this project is $2,000. To date I haven’t raised anything for this yet but we are only halfway through the fundraising season. – Sponsorship. We are really under the gun now. We have sponsorship for 4 out of 14 primary students ($60 per year each) but I am hopeful that last years sponsor for 10 will be able to sponsor again this year but timing is really tight. We now have sponsorship for the 4 secondary students so that is great. We MAY have sponsorship for an English teacher but I am hopeful that our request to a potential sponsor will be approved. Finally, we have a university student hoping to go into his 2nd year (English Teacher Program). We have raised $600 out of $2,000 so far but are desperately looking for sponsors for the remainder – $50, $100…anything you can manage would be helpful. Oudone (the student) will be in contact with the sponsors. There are about $5,000 worth of smaller projects also but they will only be announced if we are successful with our projects above. I am crossing my fingers…that is for sure. I will tell you more about our planned fundraiser in my next update.